Many of us are in the final throes of our beloved summer vacation, and although that's sad, it is exciting to start doing some back to school planning and shopping. I don't know about you, but I am always looking to save money because I spend hundreds to get my classroom ready every year. One of my favorite stores, Jo-Ann Fabrics has a great Teacher Rewards program. Teachers and educators can save 15% every day on every purchase in the store or online by signing up or enrolling in the Teacher Rewards program. To register, just click on the image below. You can save on classroom crafts and decor, sewing projects, and more! When you enroll, you will also get a bonus coupon for 20% off any one total purchase. You'll also receive more money saving coupons and personal notice of upcoming sales. Well, what are you waiting for? Enroll now and start saving! I spend way too much money at JoAnn's!! Also, Hancock Fabrics and Michael's offers the discounts for teachers! Wow! This is great. I had no idea. Thanks so much for letting us know. Thanks for sharing! We have a new JoAnn's store that just opened up in our area. I've been wanting to visit it for some time now. I have a good reason now! Now's a great time to shop there too. I found great deals on their summer "camp" crafts. They are wonderful prizes for my treasure chest! Joann's is pretty much my home away from home :) I love that they give educators such an awesome discount AND you can stack coupons! :) Thanks so much for sharing! 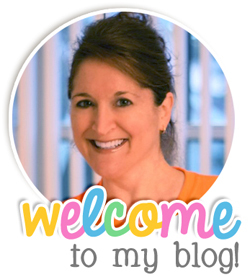 I love your cheerful blog and I am enjoying the blog hop too.